It's hard to believe but it's been three years since Coldplay released A Rush of Blood to the Head. Now they are back with their third record X&Y. All of Coldplay's releases share one thing in common; they take some time getting into. When I first listened to Parachutes in the fall of 2000 I was not impressed. After a week it was the only thing I listened to for a six months. When A Rush of Blood to the Head came out it also took a few weeks for it to grow on me. The same thing applies to X&Y. Starting off with the opening track "Square One" it is apparent that the record is a little more sonically dense than the band's previous efforts. While X&Y is a far cry from being experimental it's just enough of a change to make the new songs fresh. "What if" starts off as a slow piano song that finally builds up to a crescendo that exemplifies the transformation of Coldplay's sound. "Fix You," "White Shadows," Low" and "Twisted Logic" are instantly fan favorites. The hidden track "Til Kingdom Comes" was written for the late great Johnny Cash who passed away before he could record the song. It is a shame Cash did not get a chance to record it, but it makes a fitting and positive end to the album. X&Y was a long time in coming but it was worth every bit of the wait. I cannot wait to hear how these new songs translate live. 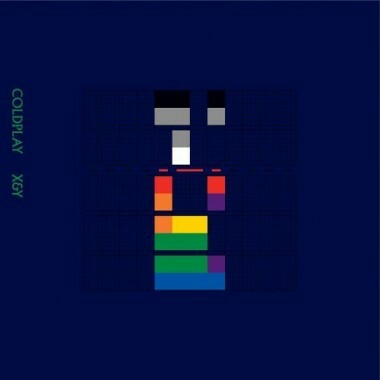 As one of the most eagerly anticipated albums of the year Coldplay does not disappoint with X&Y.